A stunning palladium eternity band from Perfect Fit, made to sit perfectly with Perfect Fit bridal set product code 2027526. Set with shimmering diamonds for luxury and glamour. Available to order in store only. 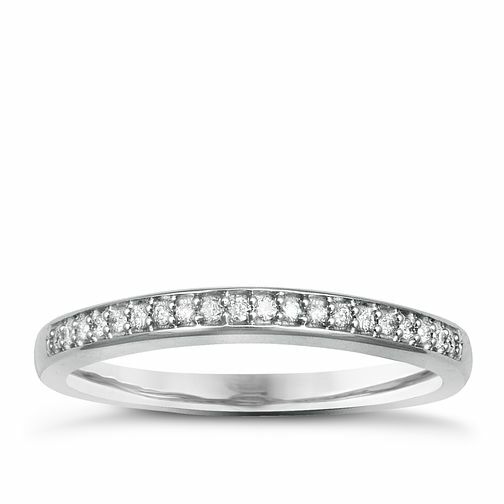 Palladium & Diamond Perfect Fit Eternity Ring is rated 5.0 out of 5 by 1. Rated 5 out of 5 by Anonymous from I love this ring! This ring is perfect for me! It was hard trying to find a palladium band to go with my engagement ring, luckily this eternity ring fit the bill. Looks beautiful and super sparkly with my engagement ring.